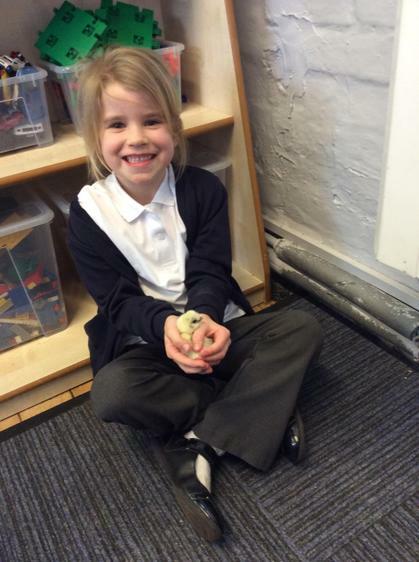 On Monday we recieved some exciting news... our school chicks have started to hatch! 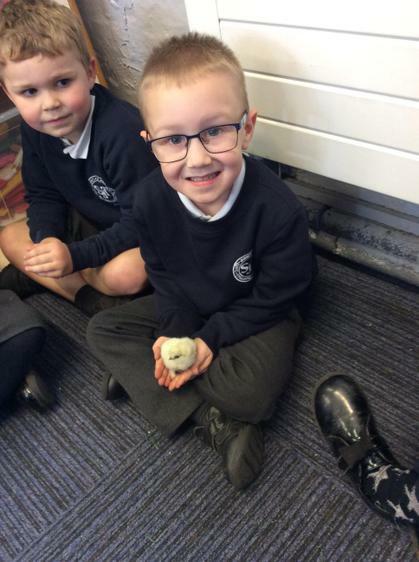 Today we got the opportunity to hold the chick which hatched first. 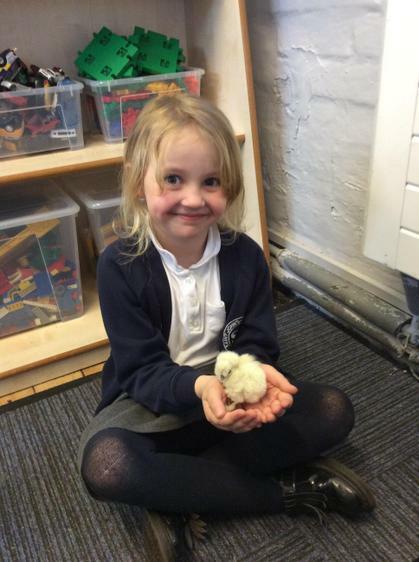 As a school we have named it 'Lucky'. 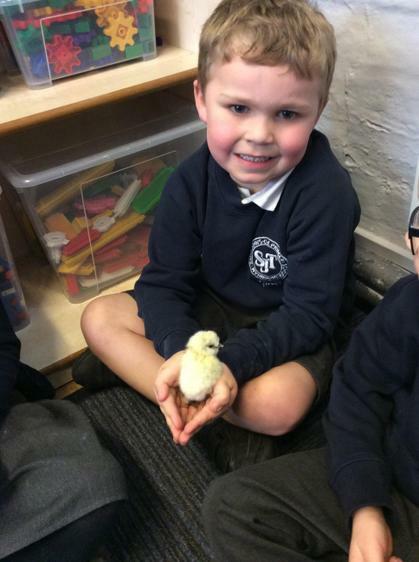 Here we are being very careful and gentle with the chick. Wow! Keep up the fantastic homework challenges Explorers. 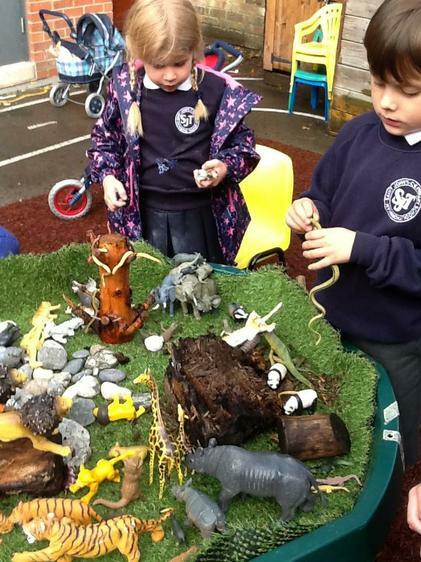 The habitats you have made for African animals are amazing! 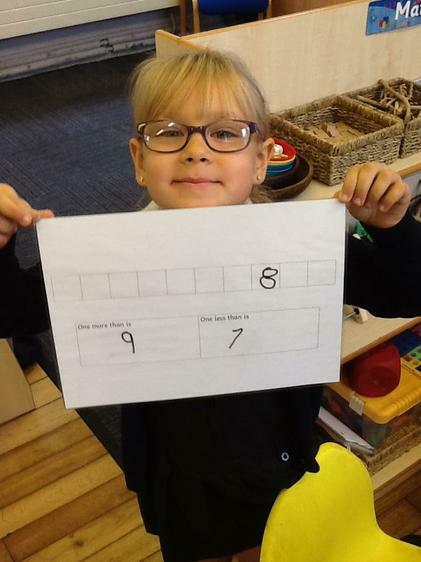 Brilliant effort! 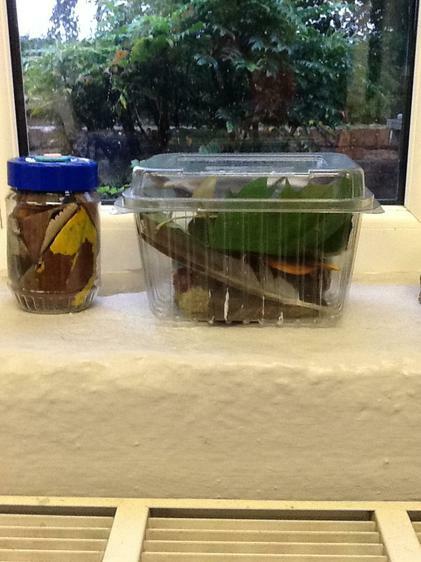 This week through topic we have been learning where in the world Africa is. 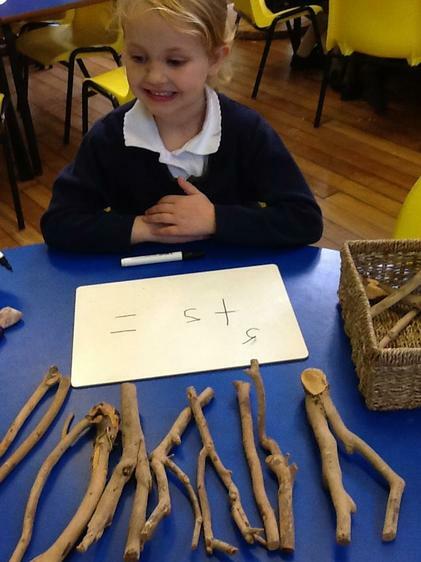 The children have learnt that Africa is a contient, not a country. 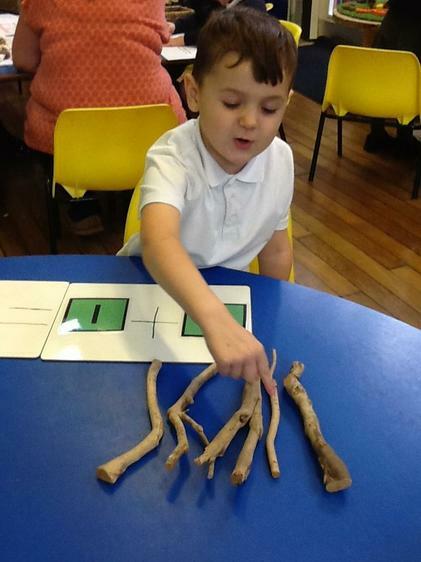 They really enjoy singing the contient song to help them remember the 7 contients and to identify which is the biggest and smallest! 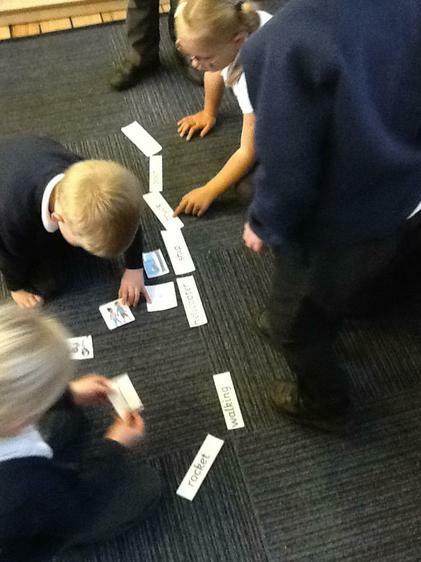 The children then did some map work around the continent identifying some of the different countries. 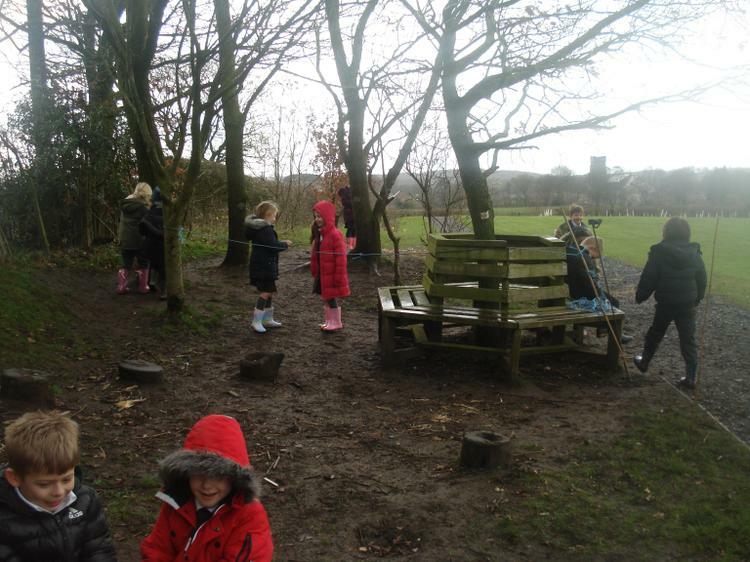 Today we were really brave Explorers! 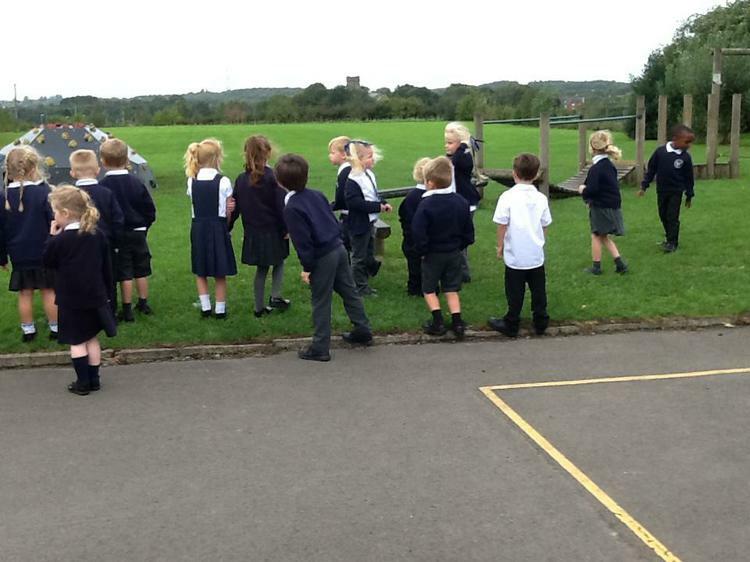 We decided that as no one had seen the lion yet we would go on a Lion Hunt! 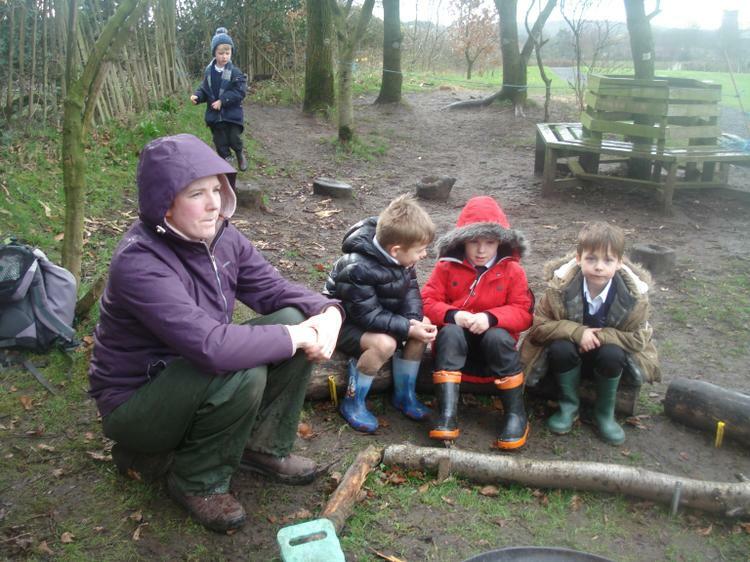 We learnt a song together which we sang whilst hunting for the lion which helped us to stay brave. We walked through the long tall grass, splashed in the deep cold river and walked through the muddy leaves and into the cave very, very quietly. In the cave we felt one wet nose, 2 big ears and 2 sharp teeth... uh oh!... It was a lion!!!! 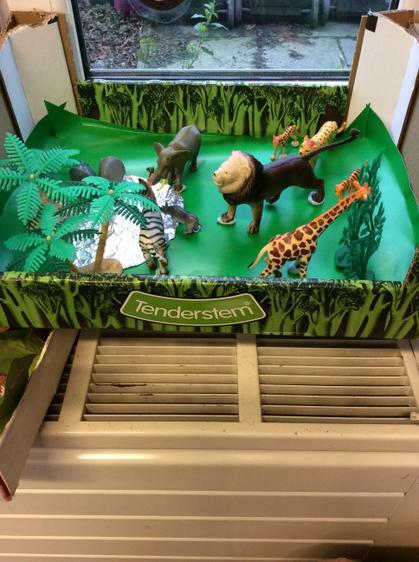 We have now adopted the lion into our safari role play area where we can now keep a close eye on him! 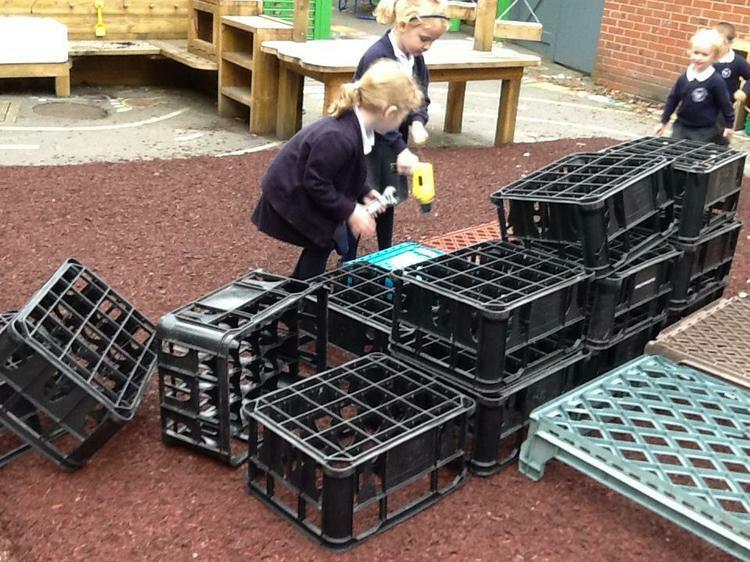 Today we entered the classroom to quite a mess! Chairs had been knocked over, equipment was on the floor and we also found some orange and yellow fluff and some footprints! But who did they belong too? Miss. Callaghan checked the CCTV cameras and this is what we saw.... 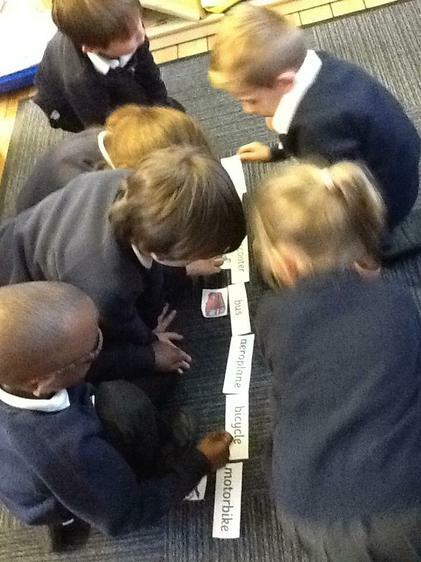 Together we decided the animals must have been being chased by something! 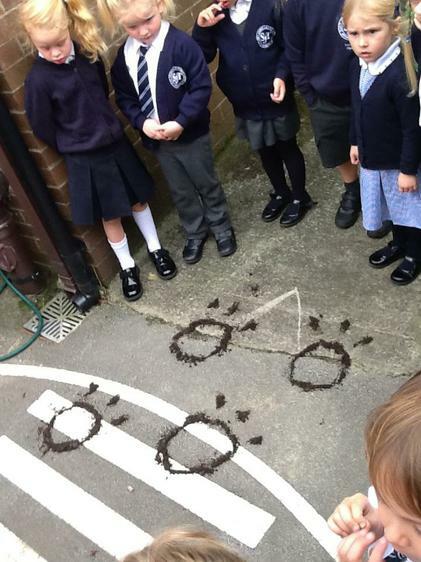 What African animal might be chasing all those other animals and have yellow and orange fluff with those footprints?... AH! 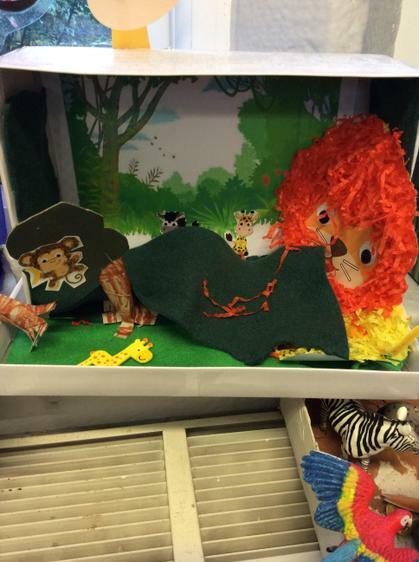 There's a lion on the loose somewhere around our school!!! 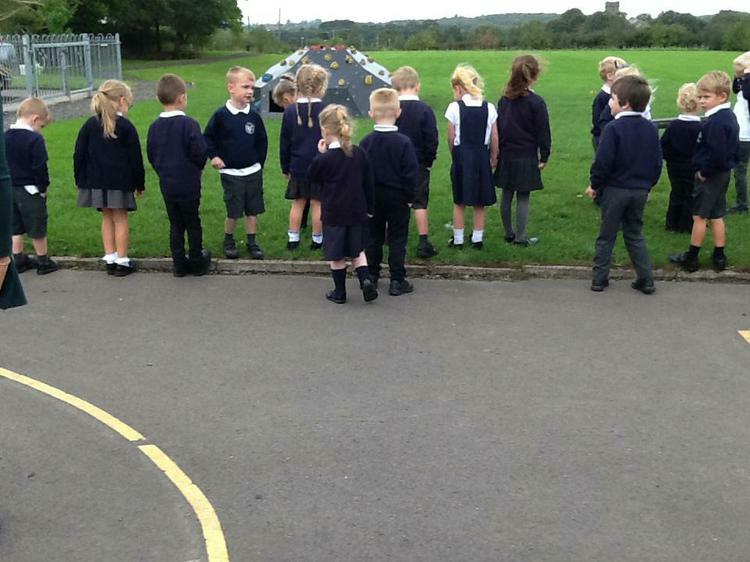 Together we decided to write a newspaper report to let everyone in school know and to keep safe if they see it! Welcome back Explorers! 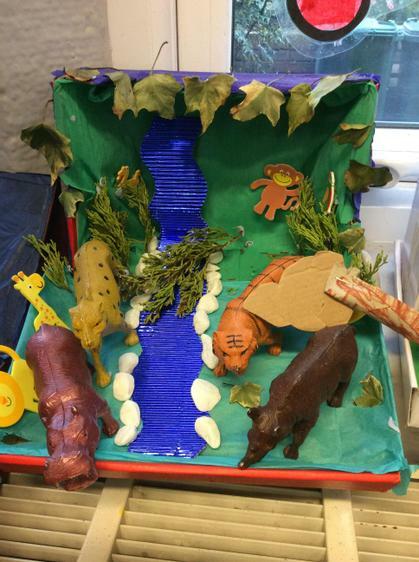 We hope you have had a lovely half-term and are ready for our new topic 'Africa'! 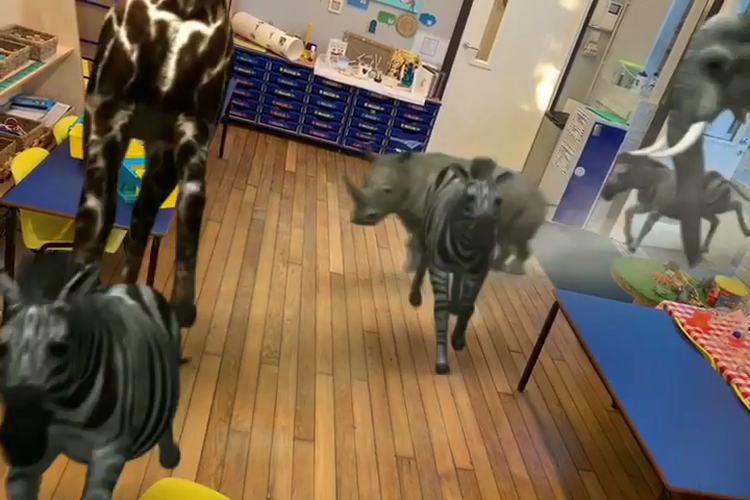 Throughout our topic we will be learning about what animals live there, where in the world is Africa, learning some of the names of the countries in Africa and comparing an African country to the UK! 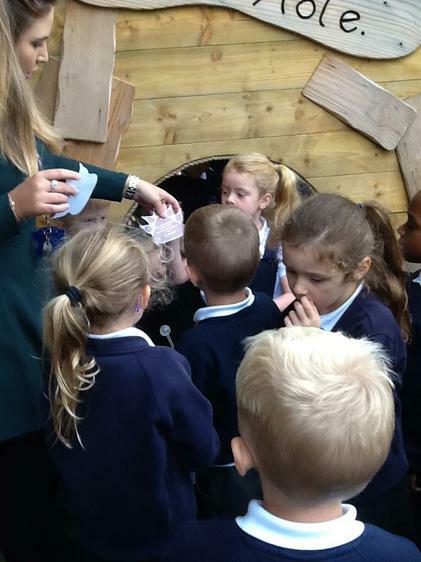 In English we will be focusing on the book Meerkat Mail and will be doing lots of different genres of writing such as postcards, letters, recounts and poems. 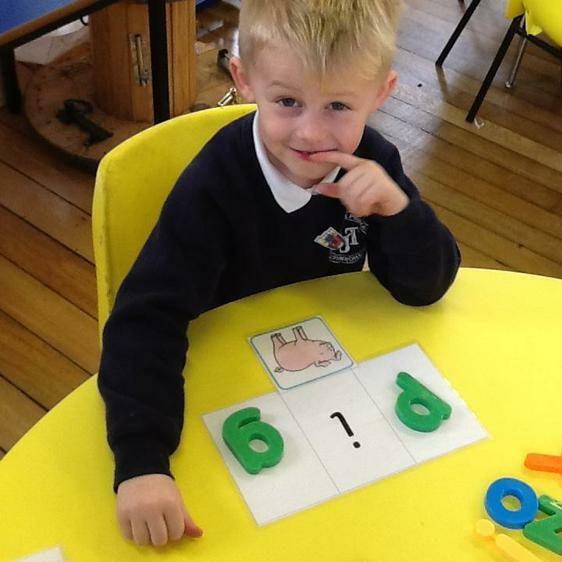 In Maths this half-term we will continue to practise our place value skills and look at sequencing events. 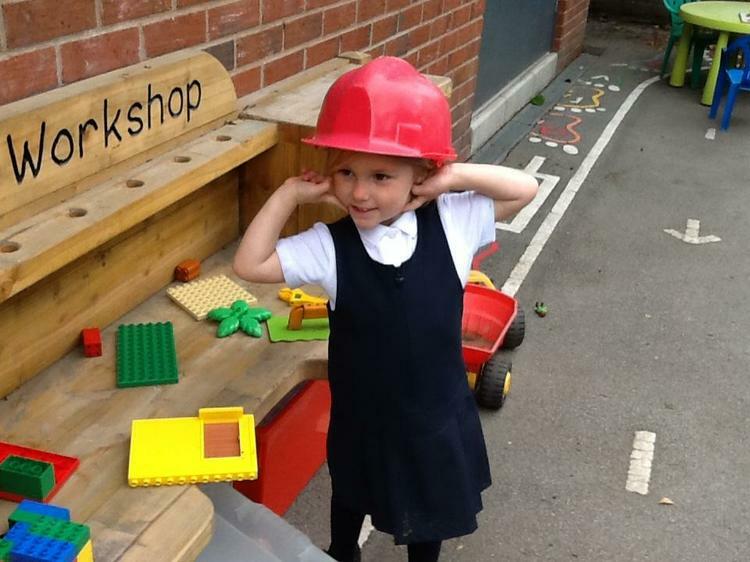 We hope you are ready for a busy and fun filled term! 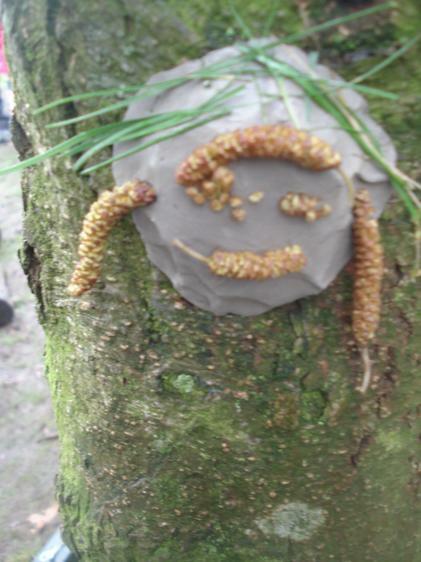 We have been busy in Forest School making clay faces and habitats for bugs! 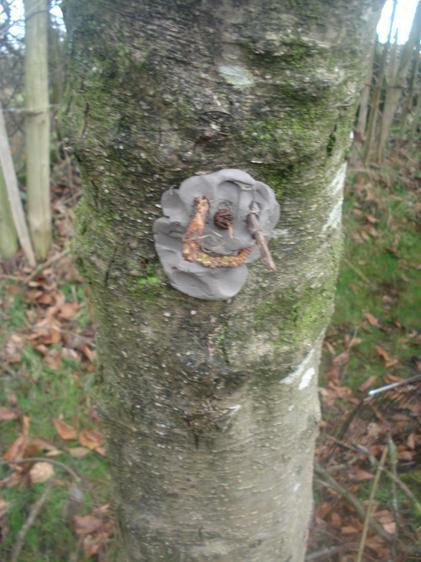 Today we went to the Enchanted Woods and went on a hunt for fairies! 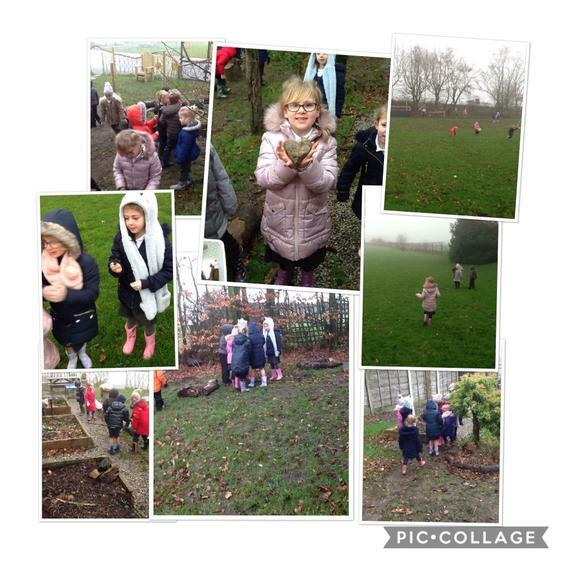 We were so lucky to find some and some fairy items such as a wand, dress and a shoe! 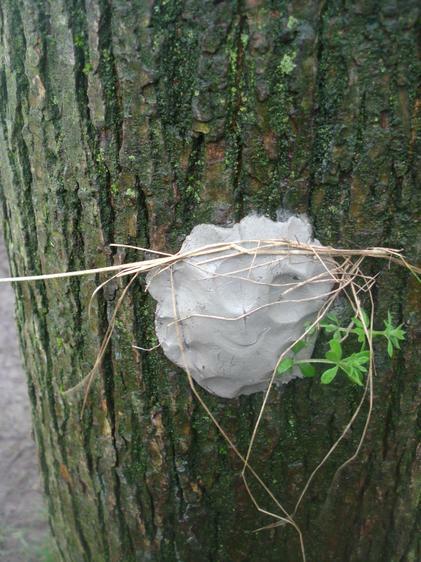 I wonder which fairy they might belong too? 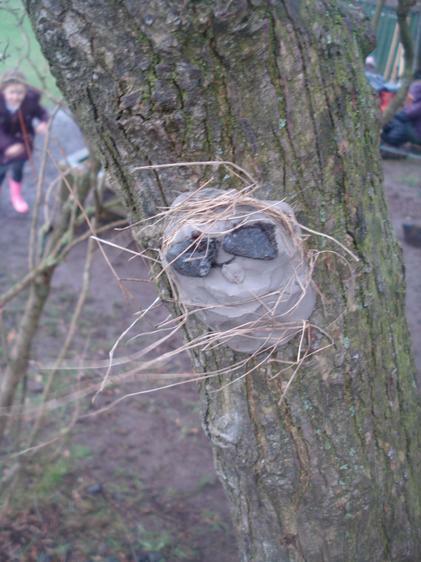 We also saw a squirrel who climbed up the trees as we listened to a story. 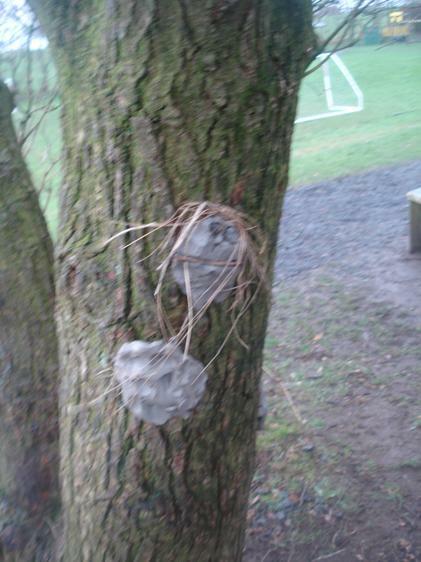 As we have been learning about Andy Goldsworthy, we decided to use clay to practise making some tree boggarts. 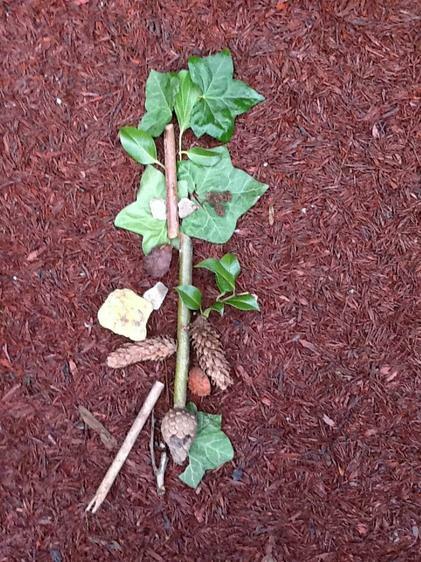 We used natural resources that we could find in the woods such as twigs, leaves and pine cones. 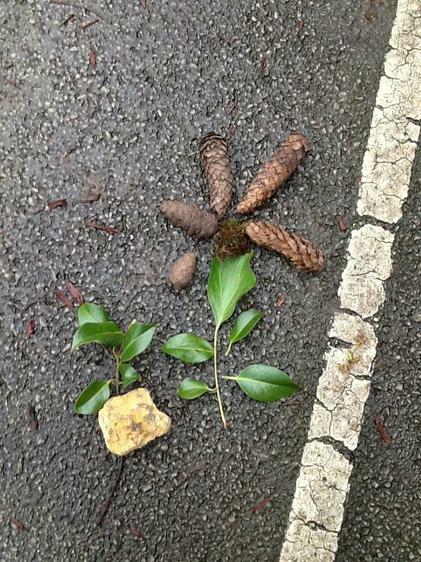 This half-term we are going to be researching the work of Andy Goldsworthy. 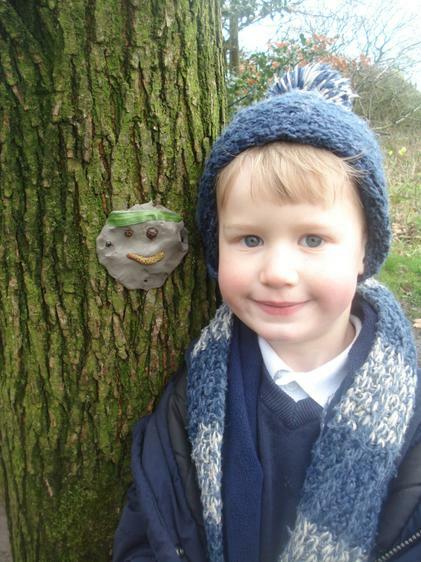 He is an artist who sculpts and makes art using natural resources. 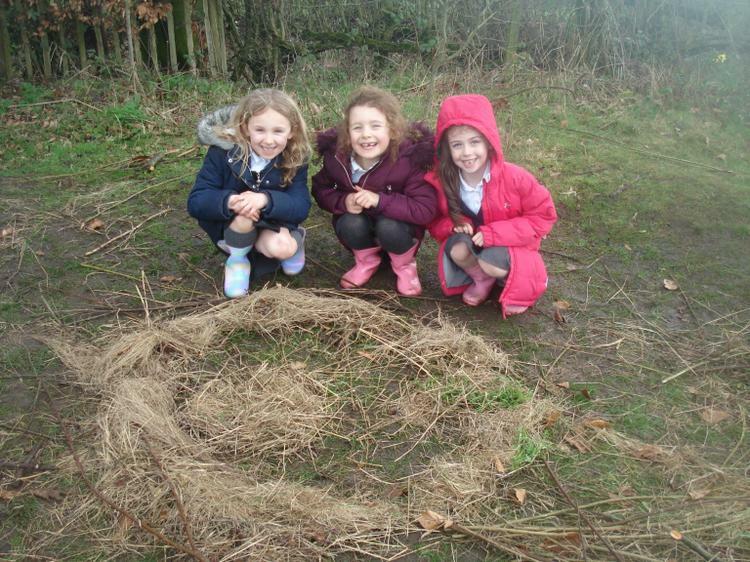 Yesterday we had a walk around our school grounds to see what natural resources we could find. 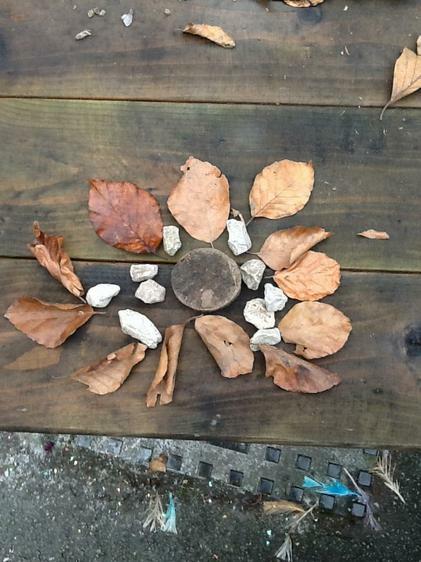 We then used the natural resources to create our own piece of art! 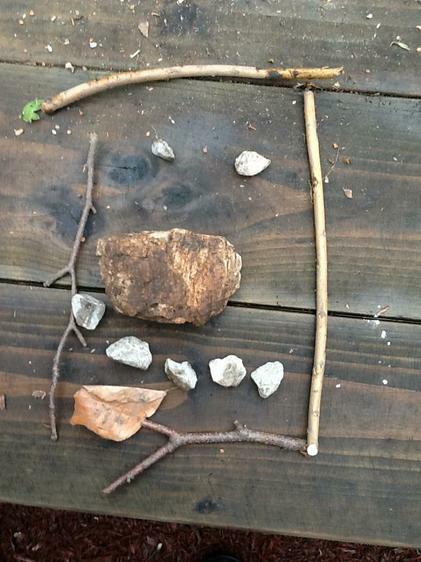 We are super artists! Welcome back Explorers! 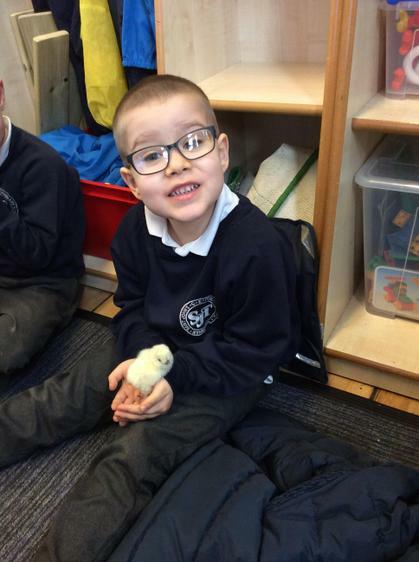 We hope you have had a fantastic Christmas and a Happy New Year and are looking forward to our new school term . 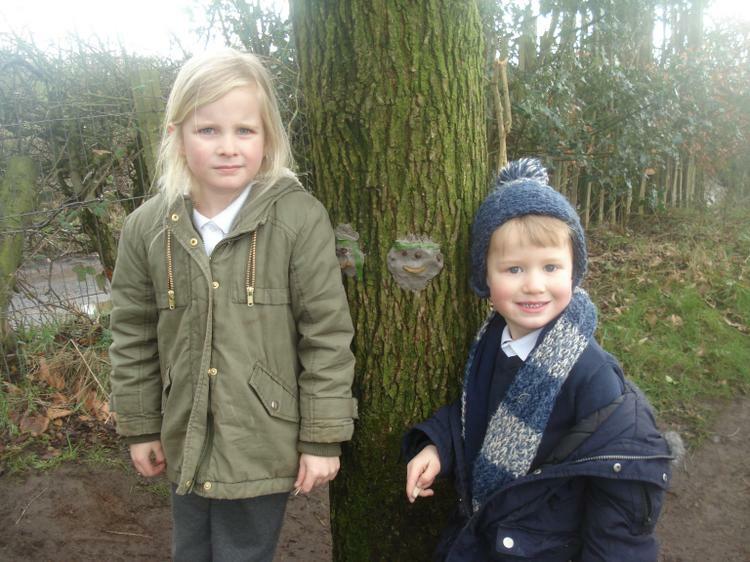 This half term our topic is 'The Enchanted Woods'. 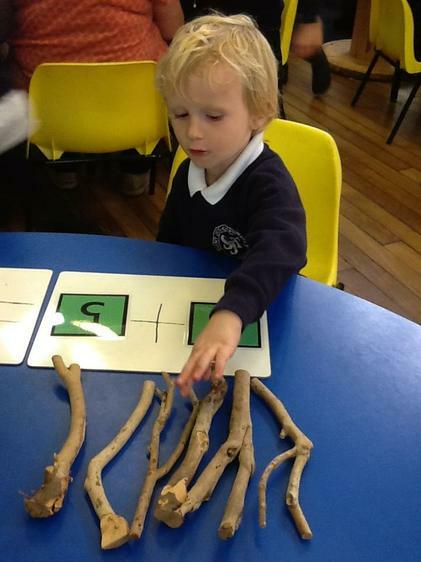 We are going to be learning about who and what we might find in a wood. Can you guess? 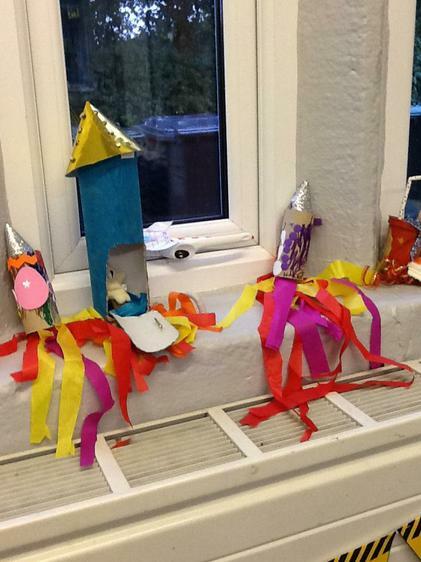 Thankyou to everyone who came to watch Explorers in their nativity performance. 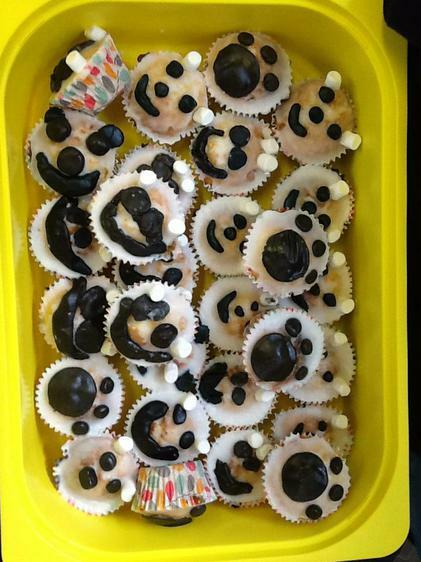 I am sure you will agree that they were amazing! 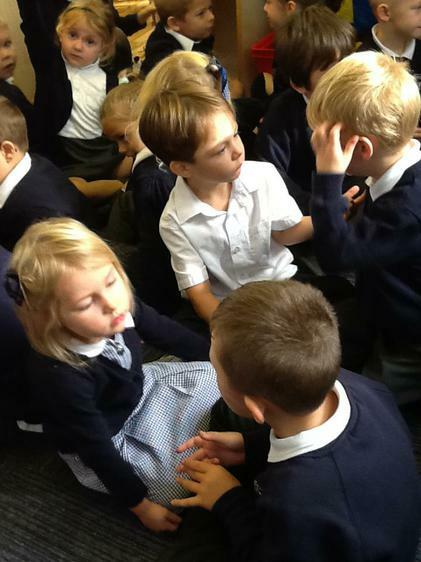 They have been practising for many weeks to learn all the songs and all of their parts and we as teachers are really proud of them Well done Explorers you are fantastic! Do you know how much sugar there is in these popular drinks? We didn't either! 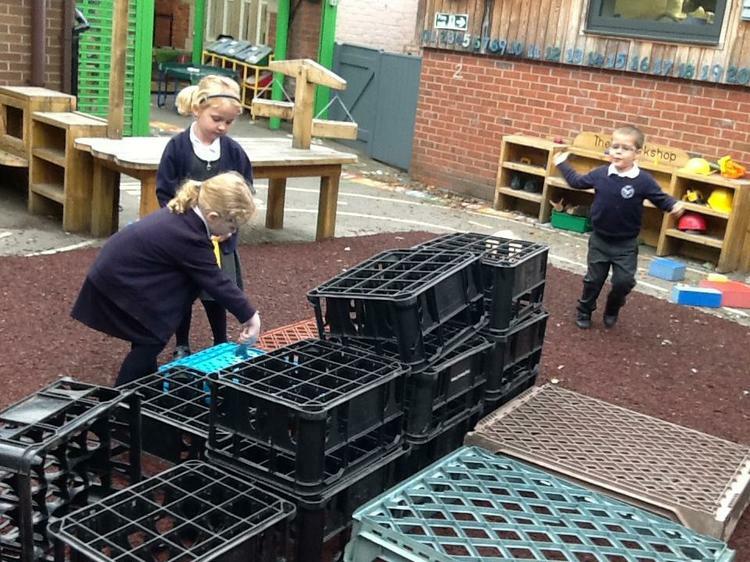 The children had to match the drink to the bag of sugar to identify how much sugar is in it. 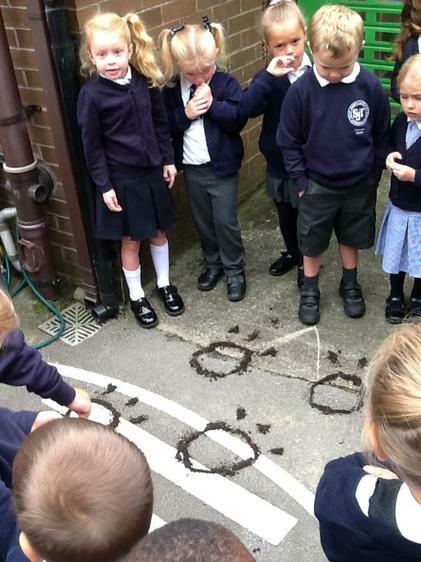 Before we found out, the children predicted that coke would contain the most sugar and gave the reason "Because it goes fizzy in your mouth and when you shake it in the bottle". They predicted water would have the least sugar. Well done Explorers! Your predictions were correct! 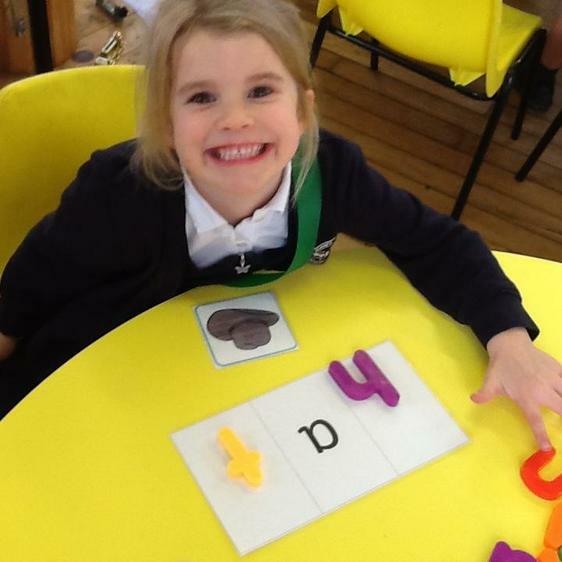 Reception children have been trying hard in writing to identify all the sounds in cvc words using magnetic letters. 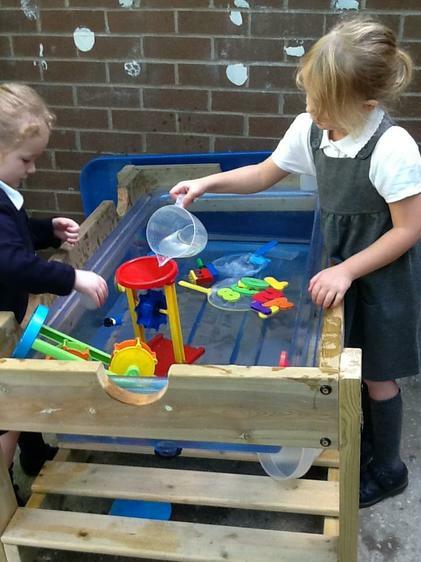 Fantastic work Reception, keep it up! 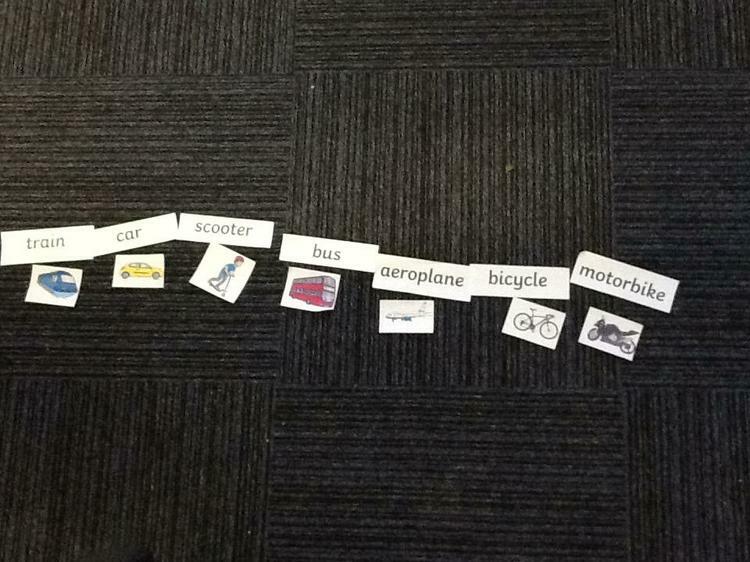 To begin our topic 'On the Move' we started with matching types of transport up to their name. 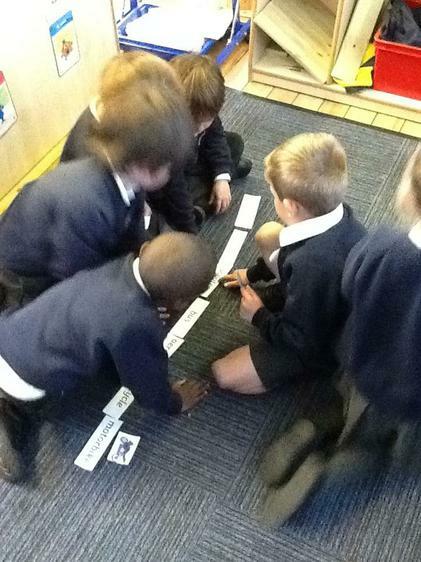 We worked together as a team to read the label and match it correctly. 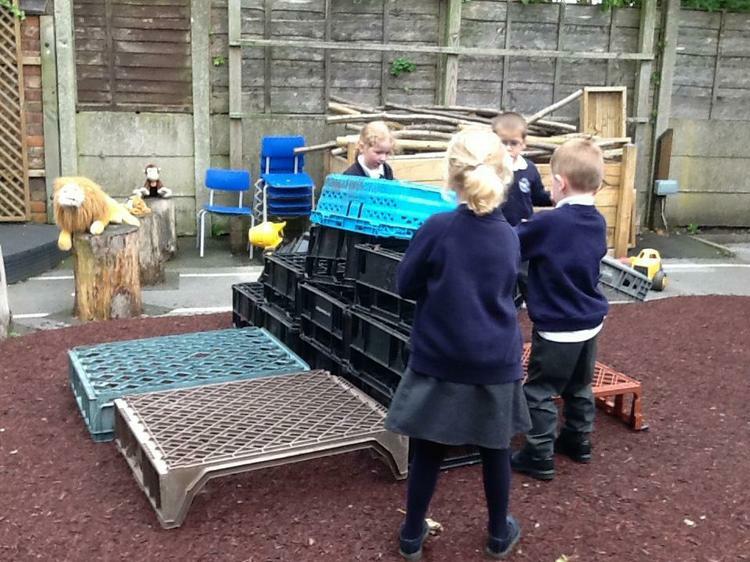 We then discussed some of the transport and whether they travel in the air, on the land or in the sea. 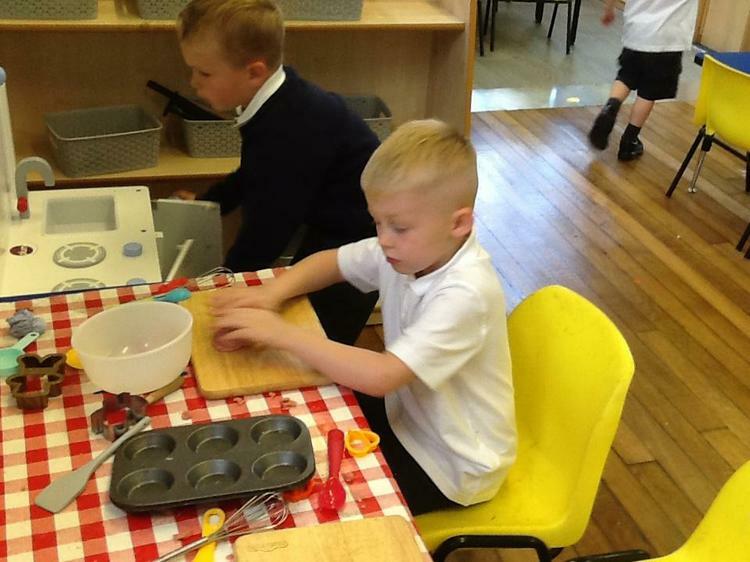 In Science we have been learning about healthy and unhealthy foods. 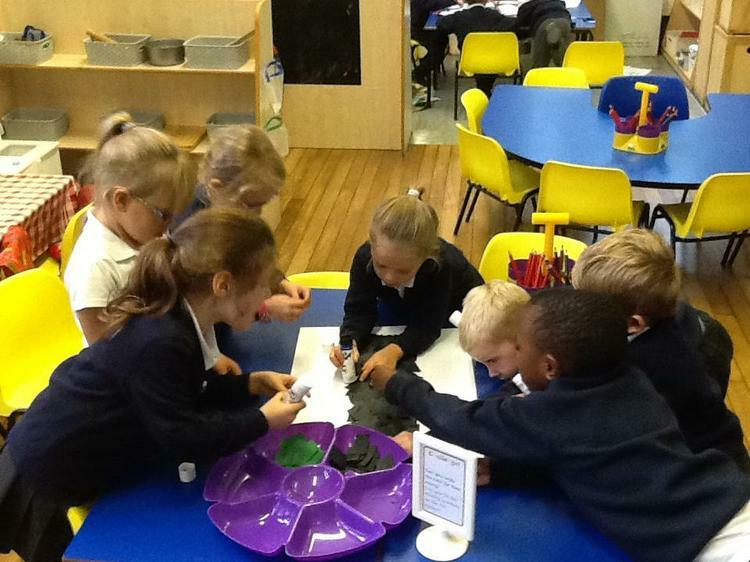 Together we discussed some of our favourite foods and filled the body with them! We then discussed together if it would be healthy to eat all of these foods every day and nothing else. The children decided this would be really unhealthy as too much of these foods isn't good as they contain lots of sugar and salt. 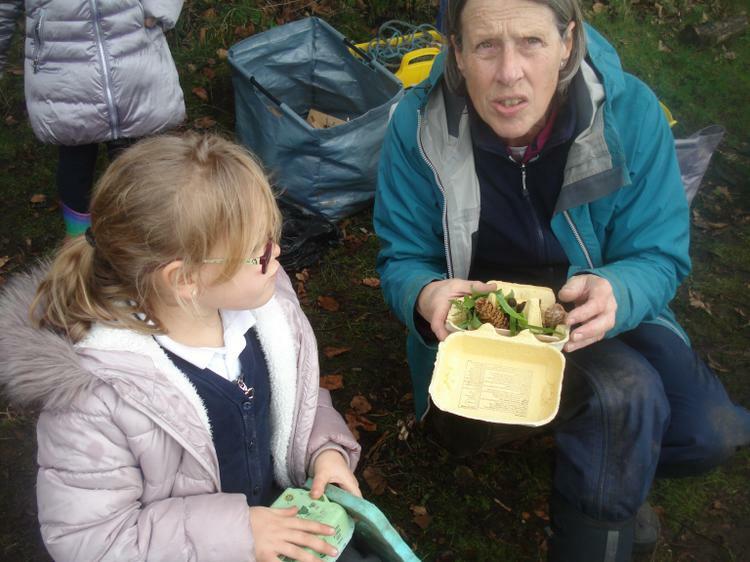 The children suggested we give the body some fruit and vegetables and take some of the unhealthy foods away. We decided a balance of both kinds of food is what is best. 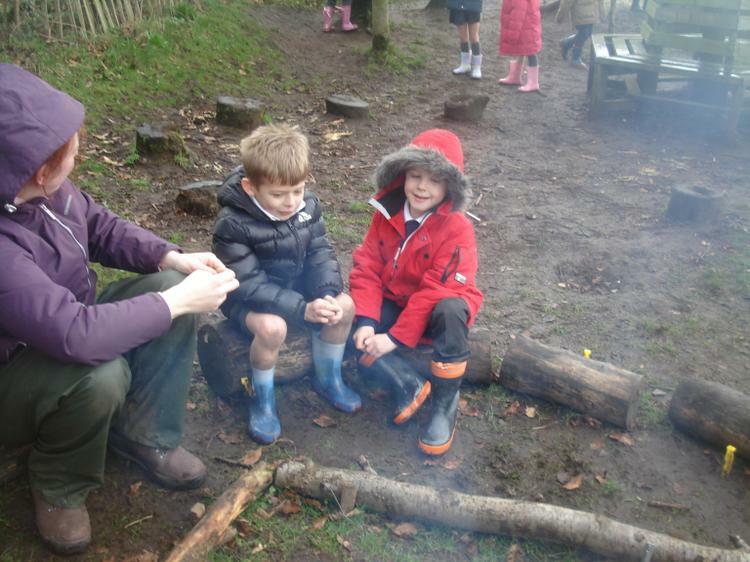 Welcome back after half-term Explorers! We hope you had a rest like we did! 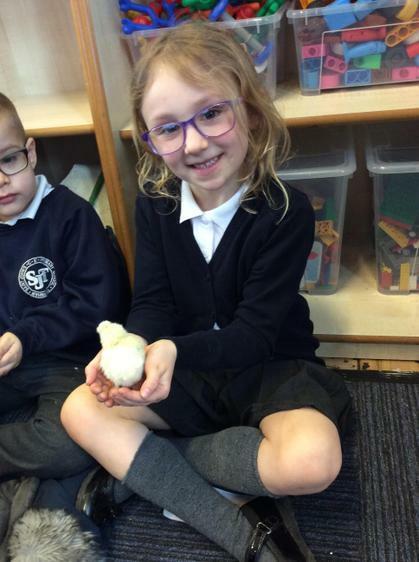 This half-term our topic is 'On The Move'. 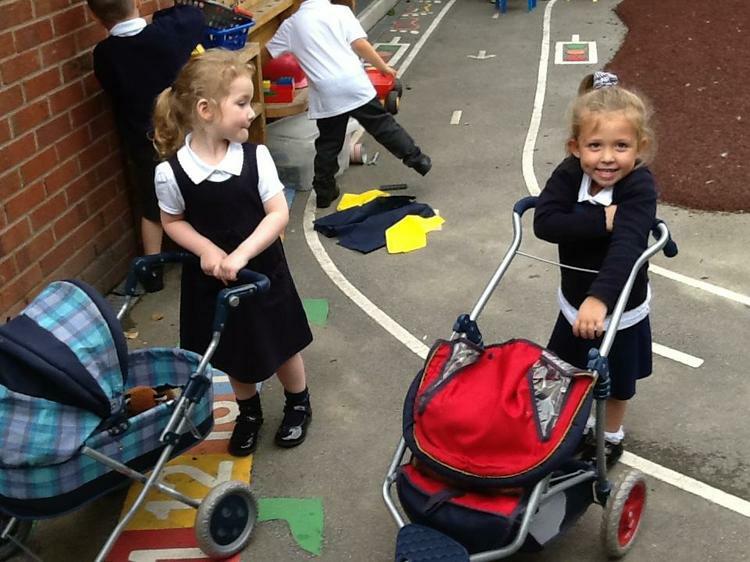 We are going to be learning all about different types of transport and road safety. 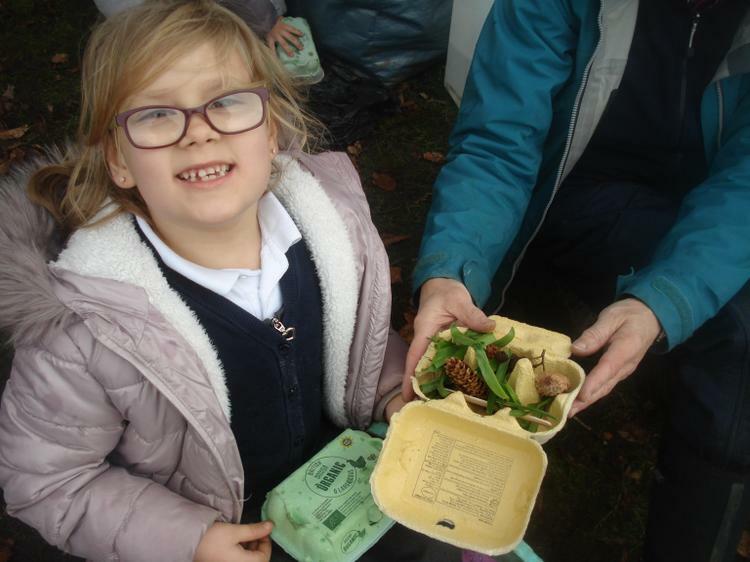 In Science our question this half-term is 'Why Can't We Eat Sweets for Breakfast?' 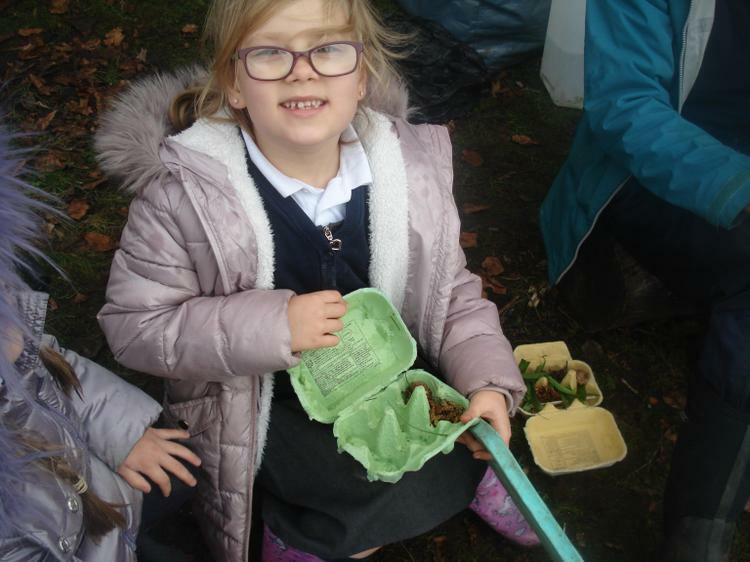 We're going to be looking at identifying healthy and unhealthy foods and how we can keep our bodies healthy... especially our teeth! 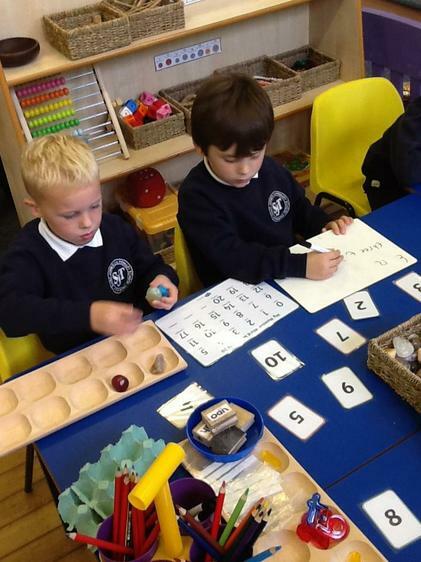 In Reception class we have been practicing addition! 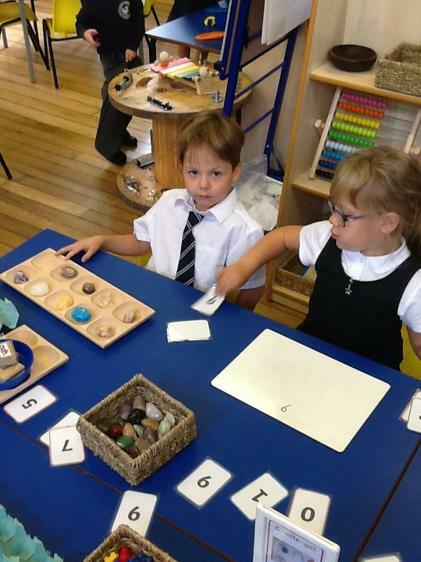 Look at the photos of us using the objects to find the total! 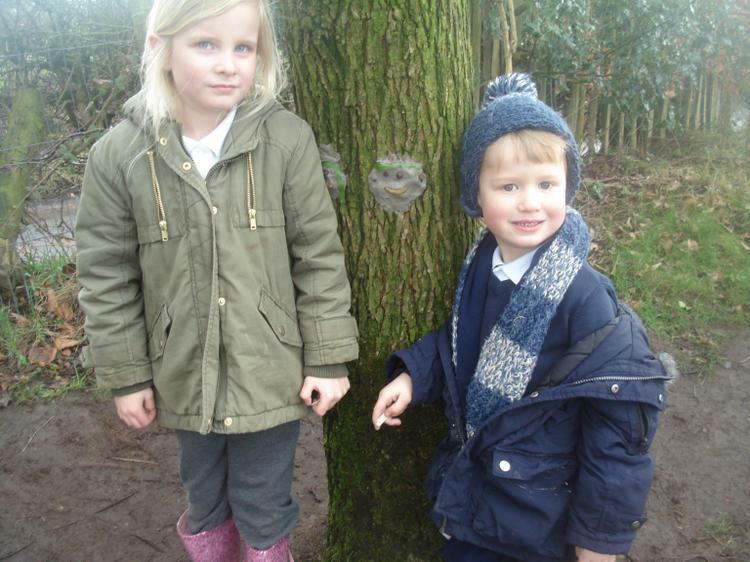 This week we went on an Autumn walk to see what landmarks we could find in our local area. 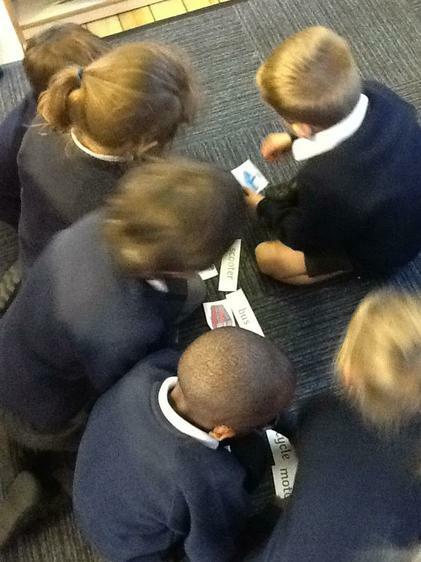 We then looked at the pictures we had taken on our walk in order to create a simple map. 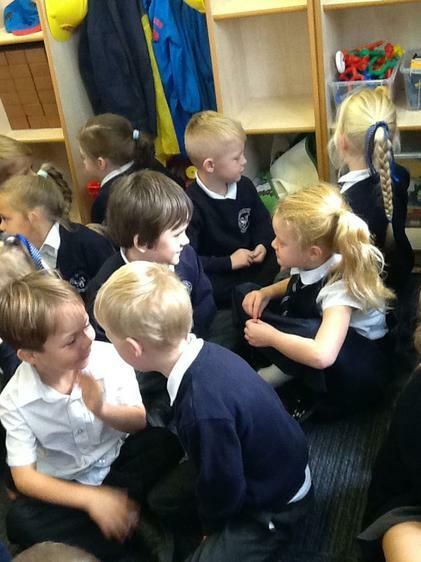 Together we discussed what needed to be included. 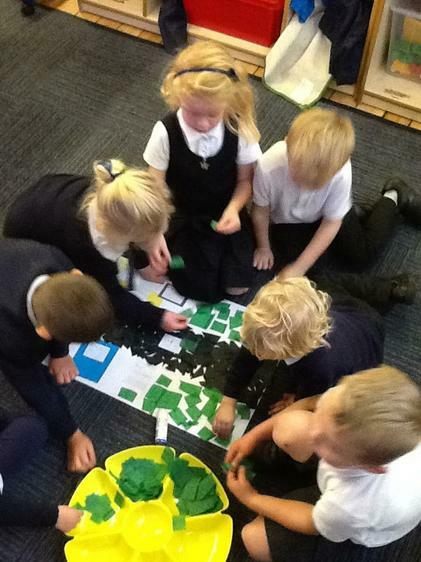 Here are some pictures of us working as a team to create our map ensuring the landmarks were in the correct place. We finished our map by labelling it. 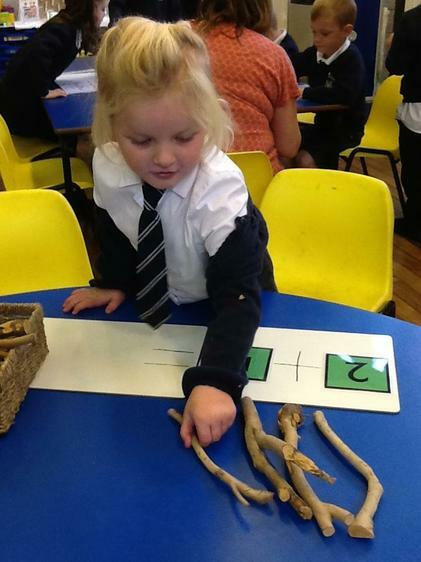 During our topic lessons we have been learning about where in the world we might find a bear. 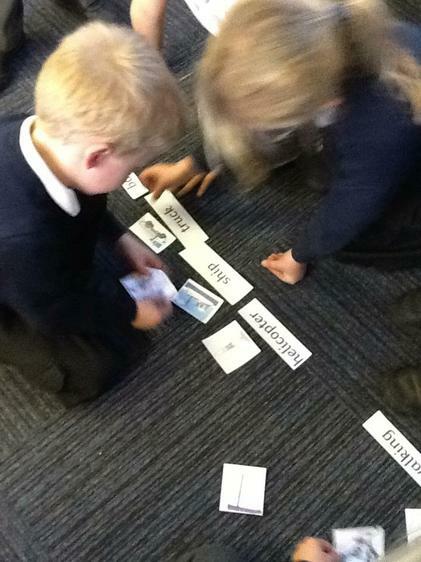 We have learnt brown bears live in Canada and Polar bears live in the Arctic! We used a world map to find these countries and our own. 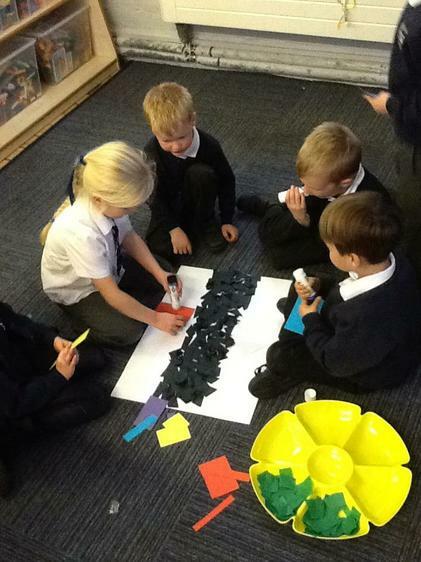 We then looked at different kind of maps and discussed what maps tell us. 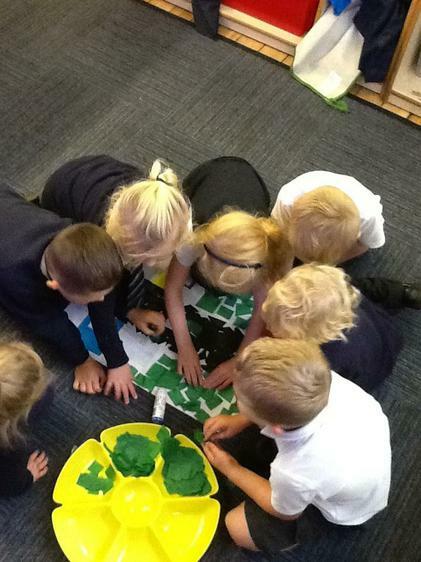 Here we are exploring different kinds of maps such as world, Europe, United Kingdom and even a map of our school! 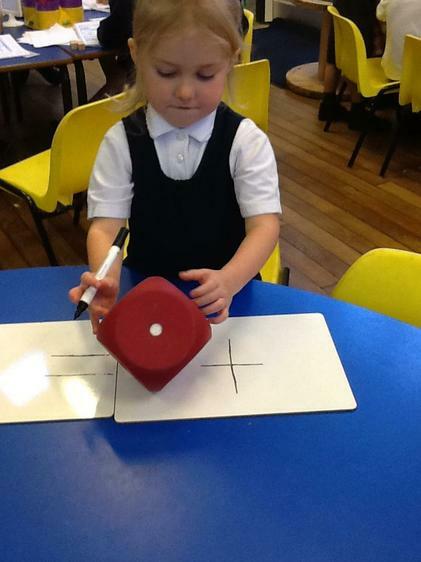 In Maths we have been practicing 1-1 correspondence. 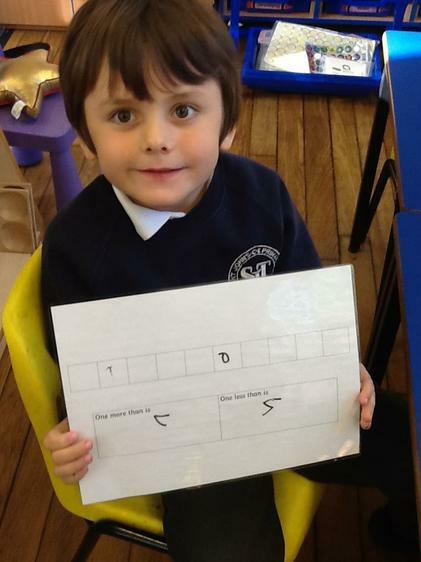 Year One children were also practicing to write the number they had made in words on whiteboards. 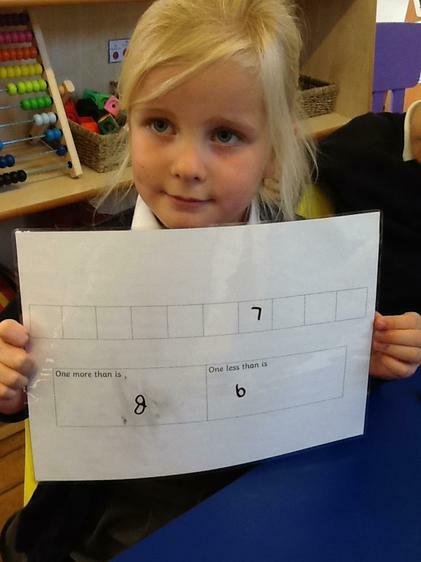 We have been singing lots of songs to help us remember the order for numbers. 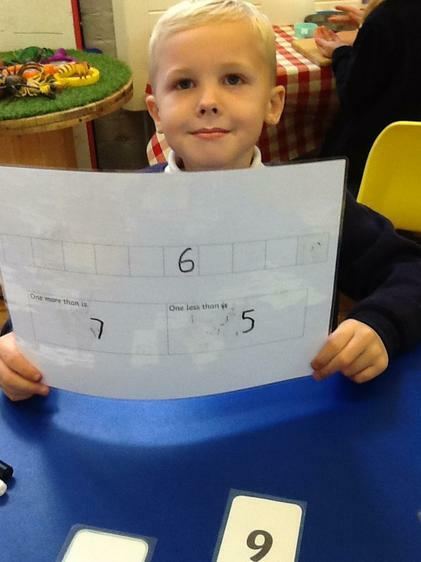 Keep up the super Maths explorers. 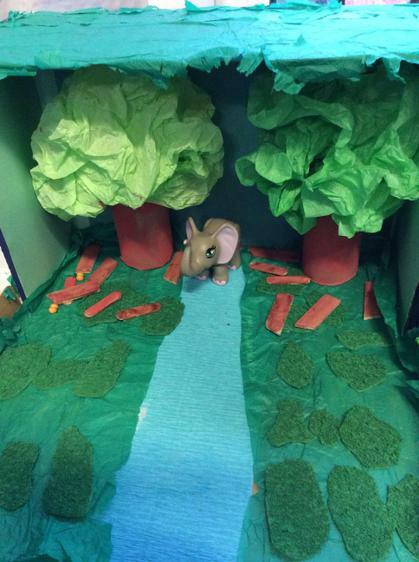 The homework challenges that have been brought into school have exceeded expectations! They are amazing. Keep up the hard work Explorers! 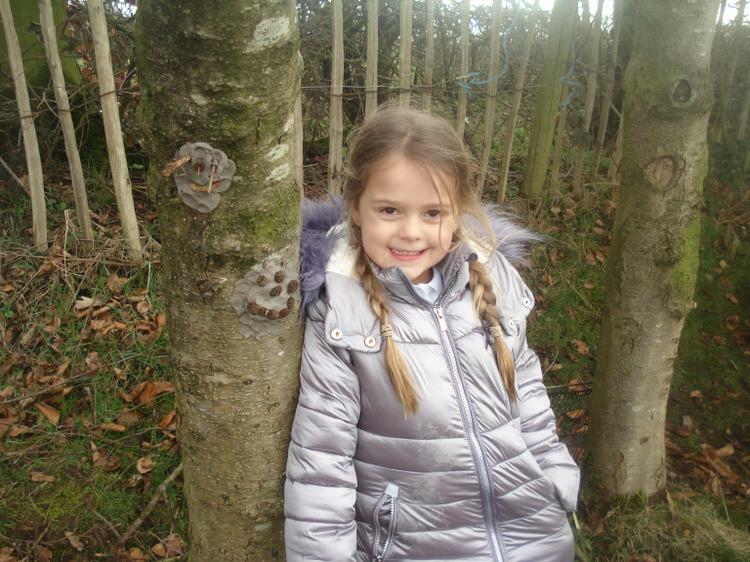 Today we found a paw print on our board with a message, it was a clue! 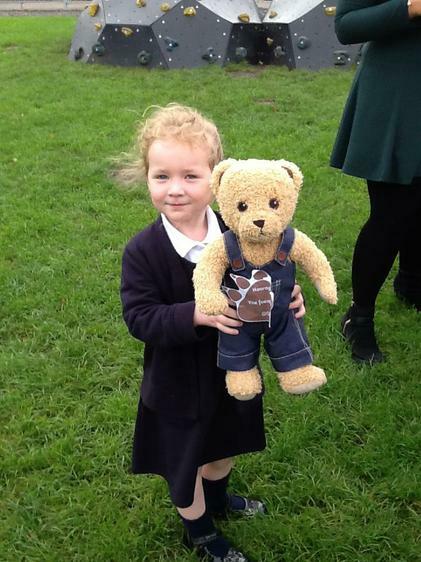 We followed the clues around our school grounds and we found the bear! 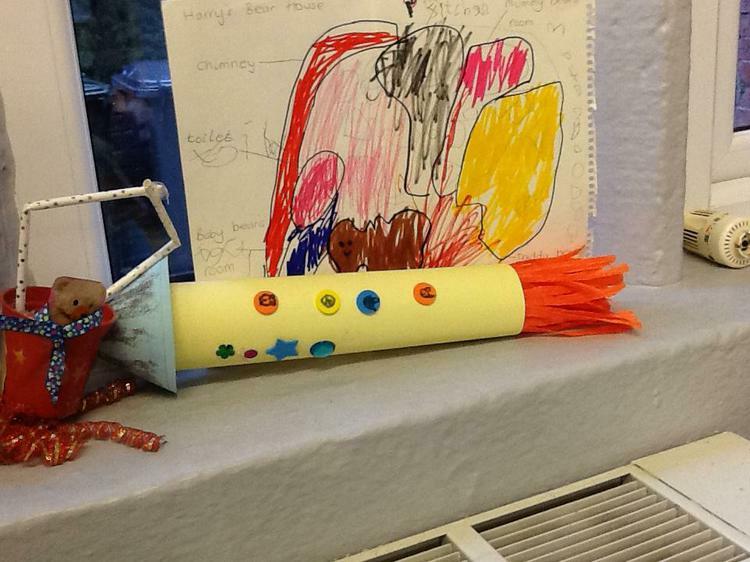 I saw your homework challenge to create a rocket so I thought I’d have a go at making my own. 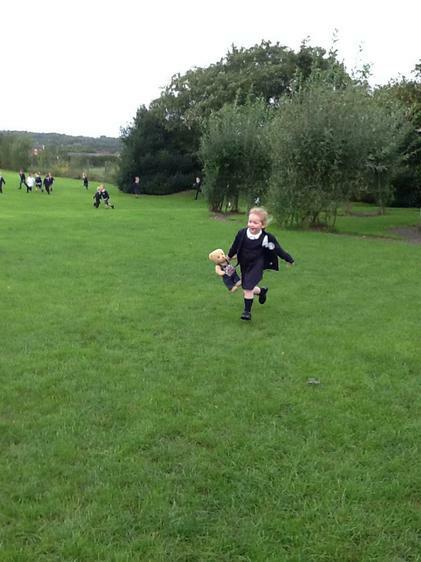 My rocket was amazing except I crashed and landed somewhere near your school and now I am lost! I came by, but no one was here… sorry about leaving my muddy footprints. 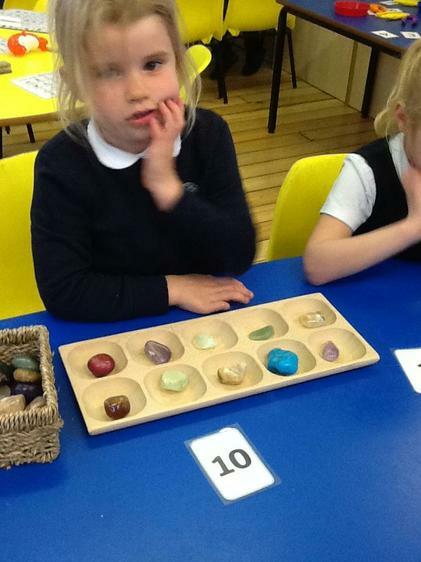 Please can you help me? If you find me, you can keep me as your class bear. We are so excited! But what can we do to find him? 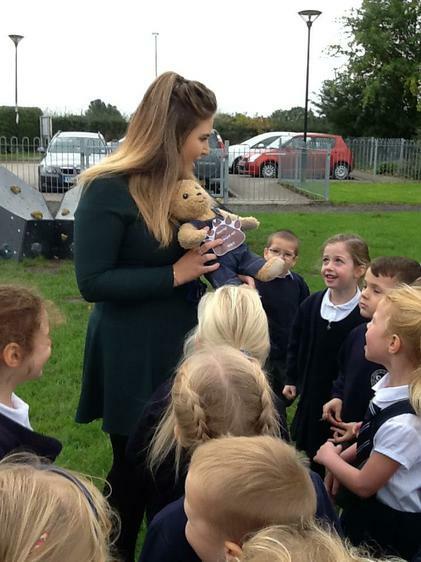 We talked with our partners about ideas to find the bear and we came up with an amazing one! 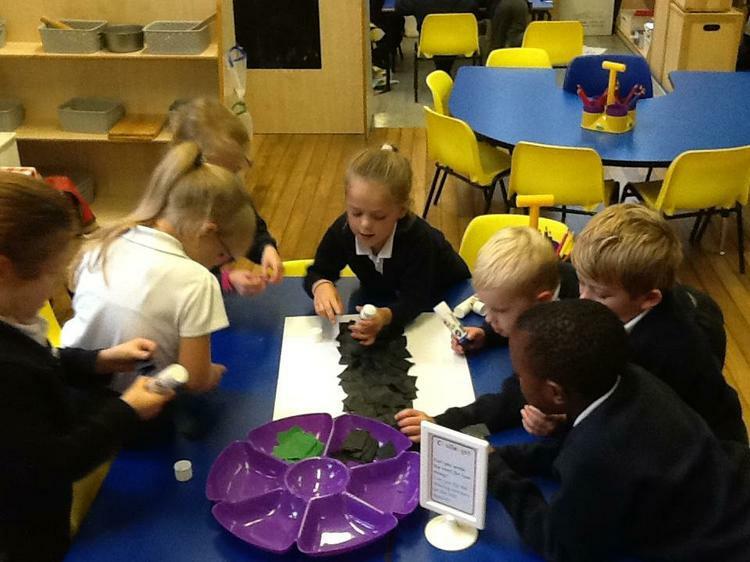 We have decided we are all going to make a poster to help find the bear. We looked at some examples of posters and what is important to include on them. 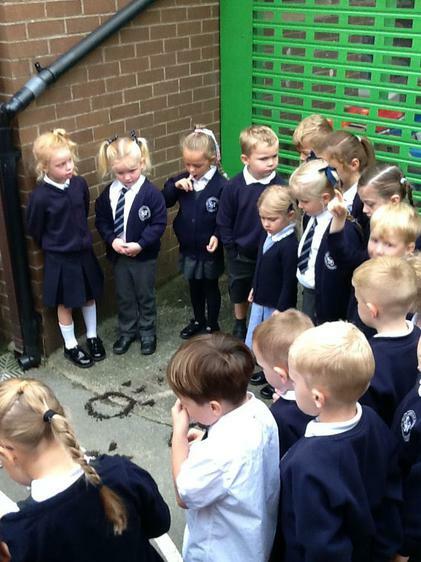 Today we discovered something very strange in our outdoor area... footprints! Who are they from? 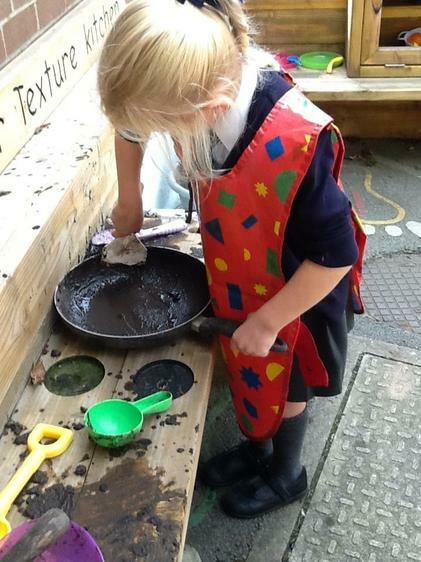 What has been in our outdoor area? 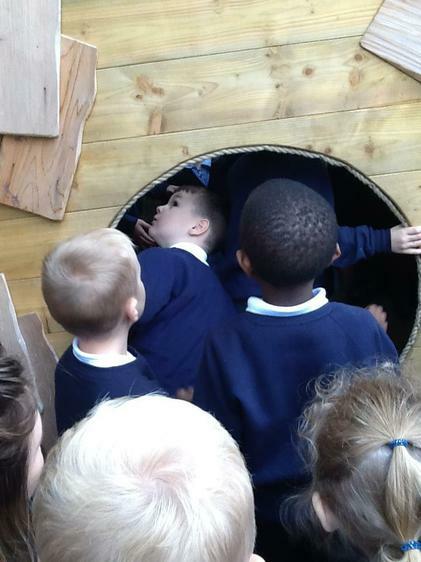 The children in Explorers really enjoy choosing in the areas! Miss. Callaghan, Mrs. Wales and Mrs. Adams hope you all had a fun filled summer. 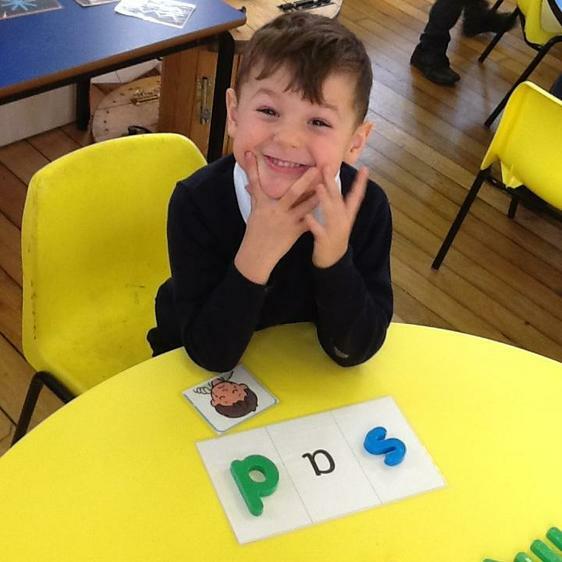 It has been lovely to see all of your smiley faces in the last couple of days and we are so pleased at how well you have settled. 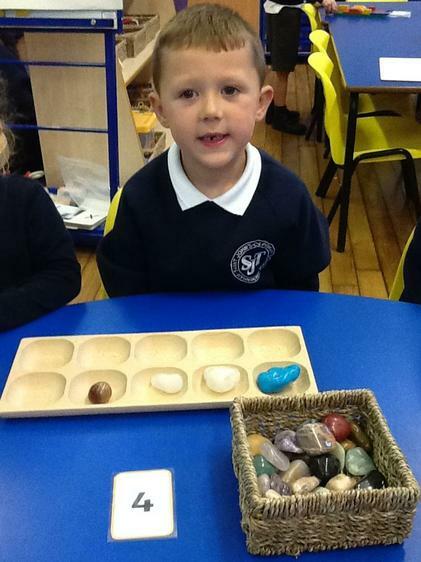 We are all looking forward to the fun things we have planned for you this year - there are lots of new things to learn! 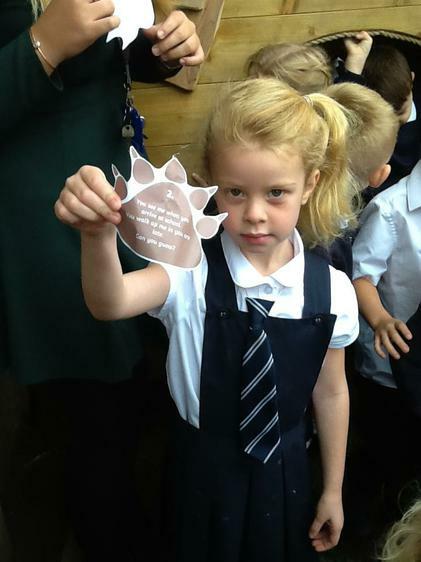 Our first topic this half term will be 'Paws, Claws and a Snout’. 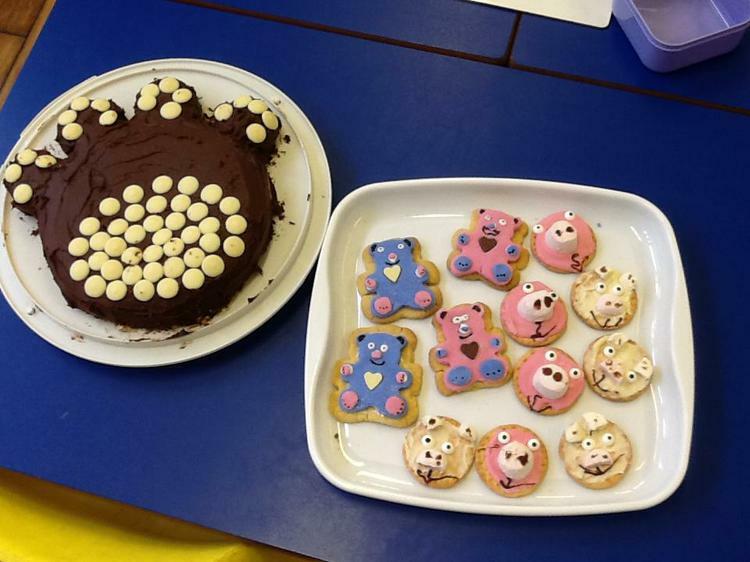 We will be learning all about bears and a special fantasy fiction character who has sharp claws... can you guess who? Some examples of texts we are reading this half-term are 'We're Going on a Bear Hunt' by Michael Rosen and 'Whatever Next' by Jill Murphy. 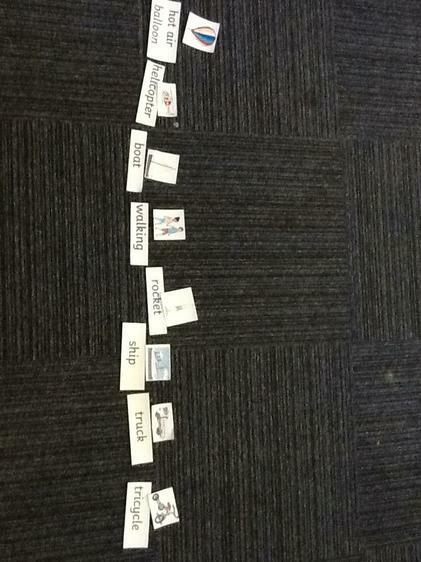 We will be using the texts to support us with writing labels and sentences containing adjectives! 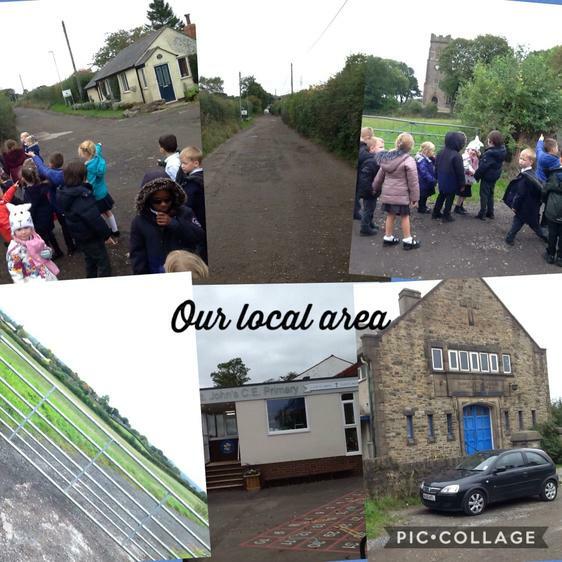 We are also going to be learning about our local community, therefore, we will be going on an Autumn Walk to see what local landmarks are around us. 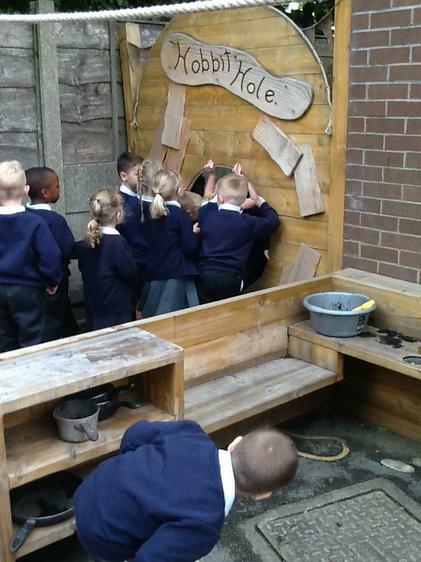 Look at our newly decorated classroom ready for our new Explorers!